We are pleased to inform all tourism professionals that the international B2B fair TRAVEL MEETING POINT will be held on October 20 - 21, 2015 in Prague, Czech Republic. 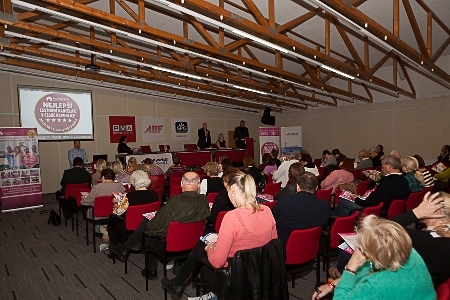 TRAVEL MEETING POINT is the biggest workshop for tourism professionals in the Czech Republic. In 2014, almost 200 exhibitors from 12 countries and more than 900 registered visitors participated at the fair. TRAVEL MEETING POINT is fact-finding, purchasing and selling opportunity for tour operators, travel agents, carriers, hotels, tourist boards, service providers and other entities engaged in incoming/outgoing. It is an excellent occasion to introduce various destinations, services and offers to the tour operators and travel agents. The event continues in the tradition of MADI international fair held in October for past 20 years. Currently, there are more than 130 registered exhibitors - among them tour operators and travel agents (e.g. Čedok, Thomas Cook/Neckermann, 101 CK Zemek, Kovotour Plus, Invia.cz, Zájezdy.cz etc. ), destinations (Dominican Republic, Val di Sole, Switzerland, Malta, South Moravia, Cyprus, Jamaica…) or service providers (Citfin, Union, Uniqa, Sorea etc.). You can check the list of exhibitors HERE. 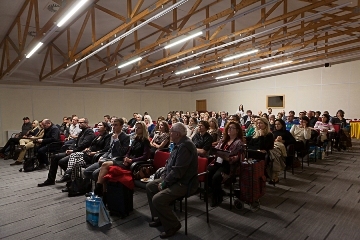 For the first time this year, an incoming section will be organized under the auspices of the CzechTourism agency. More than 60 buyers from Benelux, Germany, Austria, Switzerland, Scandinavia, Spain, Great Britain, Hongkong, Japan, Korea, Mexico, Russia, USA, Canada, United Arab Emirates or China will be presented. Thus, many interesting business relationships can be established within this matchmaking event. The online registration for the incoming section will be launched on September 10, 2015. TRAVEL MEETING POINT is open only to the tourism professionals, not to the public. If you wish to attend the trade fair as a professional visitor, please register in advance HERE. The trade fair is organized under the auspices of the CzechTourism agency - the main authority for the tourism in the Czech Republic, and the Ministry of Regional Development of the Czech Republic.